Library of America, 9780940450783, 1050pp. This second volume of The Library of America’s two-volume collection of nineteenth-century American poetry follows the evolution of American poetry from the monumental mid-century achievements of Herman Melville and Emily Dickinson to the modernist stirrings of Stephen Crane and Edwin Arlington Robinson. The cataclysm of the Civil War—reflected in fervent antislavery protests, in marching songs and poetic calls to arms, and in muted post-bellum expressions of grief and reconciliation—ushered in a period of accelerating change and widening regional perspectives. Here too are the pioneering African-American poets (Frances Harper, Albery Allson Whitman, Paul Laurence Dunbar); popular humorists (James Whitcomb Riley, Eugene Field); writers embodying America’s newfound cosmopolitanism (Edith Wharton, George Santayana); and extravagant self-mythologizing figures who could have existed nowhere else, like the actress Adah Isaacs Menken and the frontier poet Joaquin Miller. Parodies, dialect poems, song lyrics, and children’s verse evoke the liveliness of an era when poetry was accessible to all. Here are poems that played a crucial role in American public life, whether to arouse the national conscience (Edwin Markham’s “The Man with the Hoe”) or to memorialize the golden age of the national pastime (Ernest Lawrence Thayer’s “Casey at the Bat”). 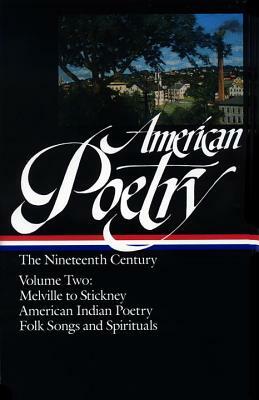 An entire section of this volume is devoted to American Indian poetry in nineteenth-century versions, making available—some for the first time since their initial publication—an astonishing range of translations and adaptations: Ojibwa healing rituals, the songs of the Ghost Dance religion, Zuni mythological narratives, chants from the Kwakiutl Winter Ceremonial. Also included is a generous selection from America’s rich heritage of anonymous folk songs, ballads, and hymns. Unprecedented in its textual authority, the anthology includes newly researched biographical sketches of each poet, a year-by-year chronology of poets and poetry from 1800 to 1900, and extensive notes. John Hollander (1929-2013), editor, was a distinguished poet, critic, and teacher whose many collections included The Night Mirror (1971), Reflections on Espionage(1976), Spectral Emanations (1978), and Powers of Thirteen (1983). He was a MacArthur Fellow and was awarded the Bollingen Prize in 1983. He also edited two volumes in the Library of America's American Poets Project series: American Wits: An Anthology of Light Verse (2003) and Emma Lazarus: Selected Poems (2005).